Look at specific inclusions and exclusions in terms of parts and services. Some providers will exclude specific parts, such as power modules, or only cover costs up to the value of your contract. If you have unexpected purchase orders or invoices for non-standard work, this can sometimes double your overall costs. 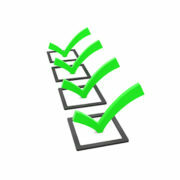 When reviewing, look for: Does your provider accept the terms of your purchase order flatly or make special exceptions? Are they flexible in negotiating terms? Does their work style fit with your operations? What types of warranties or guarantees does the equipment have from the service provider? A true break/fix contract will have 7×24 emergency service, including all parts, travel and labor associated with remedial repairs. Battery replacement and batteries are often excluded from maintenance agreements, but other failures or service should be included. What are charges like for per diem (daily) expenses? Do these costs add to the base service charges? It is important to understand what the service provider charges for daily expenses, things like drive time or mileage, travel expenses, hotels, meals, etc. When reviewing, look for: If your provider bills for per diem expenses hourly, and if this is spelled out clearly in your agreement in plain language. How well is your provider insured? Does their insurance carry over to any of your equipment or services as the customer? If so, is there a monetary cap on equipment or services covered? Does your service provider provide option for parts kits to be kept on-site at your location? Some service providers may not provide this as an option, but this can be extremely helpful if you have a part that is no longer made, or if you have a specialty part that is hard to find. This saves a lot of time not having to wait for procurement to locate and approve extra parts. If your provider has a large warehouse, it may be easier for them to pull certain parts, but, regardless, having the parts you need immediately in-hand makes a huge difference when critical fixes are needed. Does your service provide have a dedicated team to support you whenever needed? A dedicated team should include: an account manager, a dispatcher who schedules in your territory, a primary technician, and an inside salesperson or client services team member, who supports you with reporting, does future service budgeting and customer service. You should be acquainted with your entire team. It should be spelled out in your agreement that your team is dedicated to you as the client. You should also make sure that your team is available to you 24×7 in an emergency. Whenever you review any new service agreement, it is always important to read the fine print. Contact QPS today and we can help you understand what to look out for when working with a new provider.